On 16th July, a Blue Chip Feed Balancer Newcomer second round was held at Field House Equestrian Centre in Marchington, Staffordshire. Pony riders from across the country turned up to compete for the two Horse of the Year Show (HOYS) tickets and five tickets for the Cushionbed British Showjumping Scope Festival which gives them another chance to qualify for HOYS. There were thirty-five combinations that started in the first round with fifteen of those jumping clear and six jumping clear again to make the final jump off. Drawn first to go in the jump-off is never easy but twelve-year-old Charlie Dawson from North Humberside showed experience beyond her years. Riding Vanessa Townsend’s eight year old dun mare Destavelars Misty, Charlie jumped clear in a time of 35.84 seconds which proved unbeatable and gave her the win and the all important HOYS qualification. Jumping into second place and taking the other HOYS qualification was sixteen year old James Inwood from Hampshire riding his mother’s (Belinda) eight year old brown mare Vesuvius. Drawn near the end of the jump off, jumping clear in a time of 38.80 seconds was enough to hold off the remaining two competitors. Following James into the arena was Nottingham-based Beth Vernon. google down Fifteen-year-old Beth was riding Allyson Blagg’s seven year old grey mare Zirina IV who had recently won the Blue Chip Feed Balancer Newcomer Second Round at Hand Equestrian Centre, qualifying them for HOYS already. Although this combination managed to put in a quick time of 37.63 seconds lowering the last fence gave them four faults and sixth place. Last to go in the jump-off was fifteen-year-old John Merrick from Shropshire. Riding Michelle Pooles’ ten-year-old chestnut mare Nelly Kid, John put in a good clear in a time of 39.63 seconds to take third place. Fourth place went to sixteen-year-old Jodie Hooper-Slany from Hertfordshire riding Tina Slany’s fifteen year old bay mare Miss Loobie. Having already won the Blue Chip Feed Balancer Newcomer Second Round at Port Royal last week Jodie’s Cushionbed British Showjumping Scope Festival ticket went down the line to seventh place. Katie Pownall, twelve years old form Nottingham took fifth place and one of the other Cushionbed British Showjumping Scope Festival tickets. Riding Ian Whitaker’s eight year old roan mare Jessica IV, Katie jumped clear in a time of 44.17 seconds. The final Cushionbed British Showjumping Scope Festival qualification went to seventh place Chelsea Holland from Essex. Riding her mother’s (Cherie) nine year old chestnut gelding Cluedo III, sixteen year old Chelsea just had one fence down in round two in a time of 47 seconds. 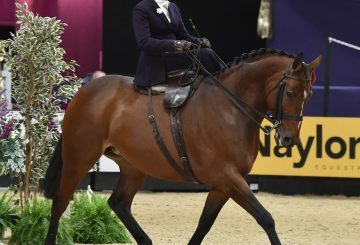 The 2011 Horse of the Year Show is the 4th – 9th October at Birmingham’s NEC. 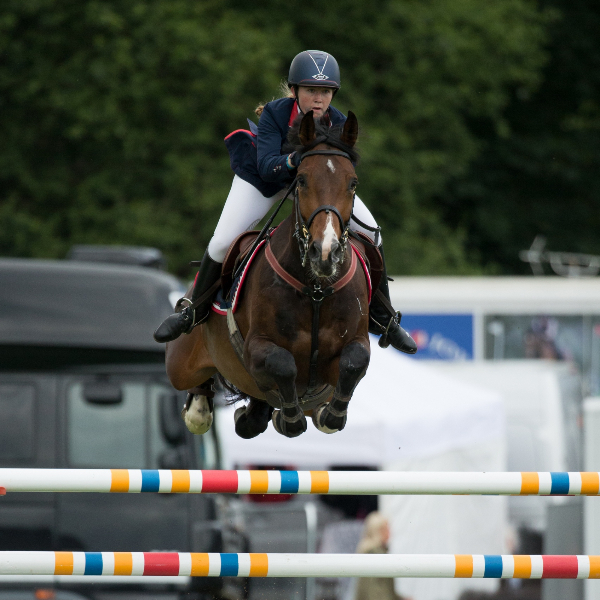 The 2011 Cushionbed British Showjumping Scope Festival will take place from Sunday 28th August to Saturday 3rd September at Stafford County Showground. Blue Chip Feed Ltd produce one of the highest quality, best selling Hi Tech feeds in the UK. They are one of the UK’s leading horse feed companies, having won the Parcelforce Worldwide and Sunday Express small business of the year.